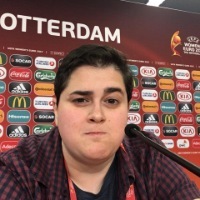 After Chelsea's early penalty, there was no way back to the Fiorentina goal for the hosts who hold the narrow advantage in their UEFA Women's Champions League tie. Goal-shy domestically but beginning to suffer the same fate in the Champions, the Blues were given the best possible start at home. Sliding through the box to block a cross, Stephanie Breitner gave away a seventh minute penalty as her outstretched arm connected with the ball. Going the right way but not low enough to stop the shot, Stephanie Öhrström was forced to pick the ball out of her net following Karen Carney’s low and decisive spot kick. Staving off the pressure from their opposition well, the Blues looked to add to their tally but found the same issues with converting as they’ve been having in the WSL. A neat cross from Erin Cuthbert found Fran Kirby well in the box, the attacker taking a touch to swizzle and fire towards goal. However, in a theme that would continue all night, Öhrström came up trumps to deny the hosts. With the Viola seeing less and less of the ball, and being overrun in defence more and more, the scoreline teetered. The chances and half chances mounting for the hosts but still one just one goal in it. A change at the half saw the visitors tighten up across the park, again flirting with finding a goal. Typifying the game in one move, Chelsea attacked down the left, Ramona Bachmann jinking into the box before laying the ball back to Carney. The captain’s shot blocked as then Kirby was twice denied by Öhrström (with a little help from the post). The match refusing to bare a second goal. In what is becoming an all too familiar occurrence for the WSL champions, the match was desperate for more goalmouth action. The team with one of the best attacks in England, too oft coming up empty handed in front of goal despite their chances and possession. Whilst Öhrström had a storming game, there were chances for the hosts that remained untaken. The overriding feeling that if this match had been taking place at some point last season, Öhrström’s effort would have been in vain. With football all about habits, the longer Chelsea go without putting games to bed or scoring from open play, the less likely things are to change. 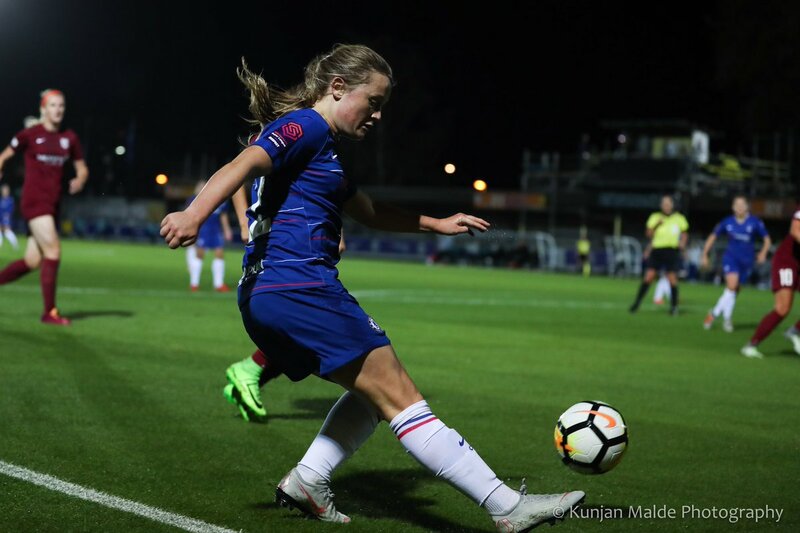 Picking themselves up from a bruising loss at home to Arsenal over the weekend, the wholesale changes made by Emma Hayes made little difference to Chelsea's proficiency in front of goal. Back in Europe, with the tie finely poised, both sides will still feel that their is a spot for them in the last eight. Agonisingly close to saving Carney's early penalty, Öhrström staunchly refused to be beaten from open play. Saving with every part of her body, coming out quickly to block, claiming everything she could, the Swede was exceptional. In a win for Chelsea that could be categorised as disappointing, the 31-year-old unquestionably delivered the best performance at Kingsmeadow.